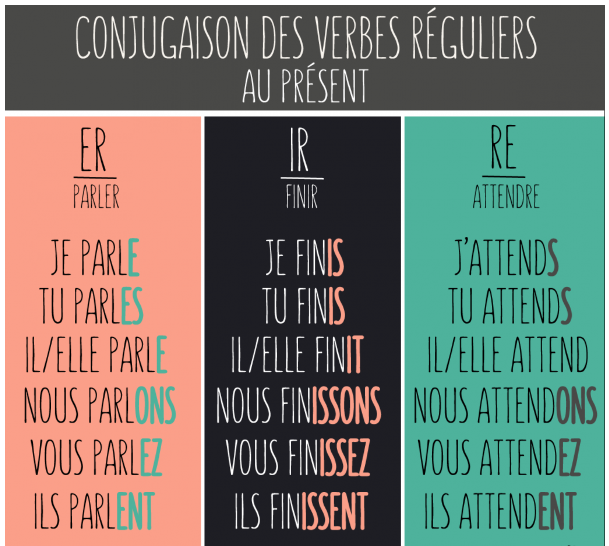 How to conjugate irregular and regular verbs in present and the past. Drop the er, re, or ir and add the ending based on the pronoun. Here are some of the irregular verbs. They don't follow the rules, so you just have to memorize! 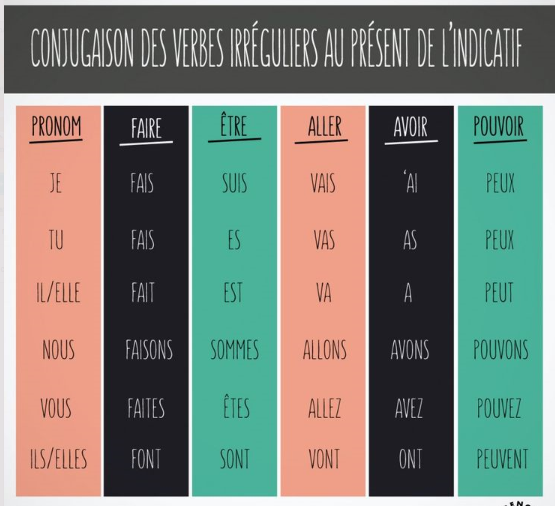 To find out the meaning of a verb, you can download a list of the most commonly used French verbs by clicking here. 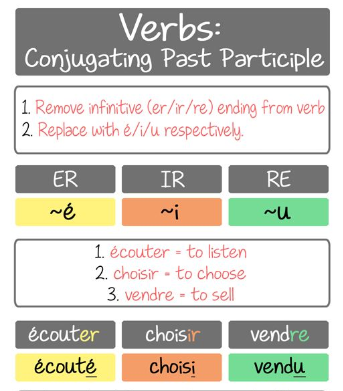 To use the past tense, conjugate the verb avoir with the pronoun you are using and add the past participle. To make the past participle, use the rules listed on the side. 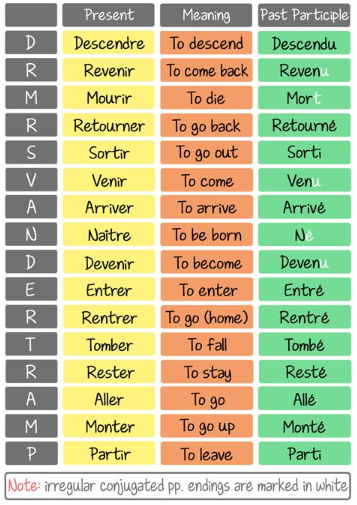 Of course, there are a list of verbs that DO NOT use avoir, and use être. To remember which verbs use être, just remember Dr and Mrs. Vandertramp.